There’s something about Christmas that makes many of us want to be creative and crafty. We have happy memories of crafting with our moms, grandmoms, cousins and friends. Ah, nostalgic Christmas memories. But then real life comes crashing in. We’re busy people with busy, busy lives. As much as we’d like to create elaborate crafts from scratch, it’s just not realistic for many of us in these busy days. But no worries, I’ve gotcha covered with these Free Christmas Printables. You can use them for an easy crafting project and much more. You can use them as they are when you print them and you can also embellish them for a simple and quick craft project. White Card Stock Paper – Card stock paper is a bit sturdier and holds up as a card. 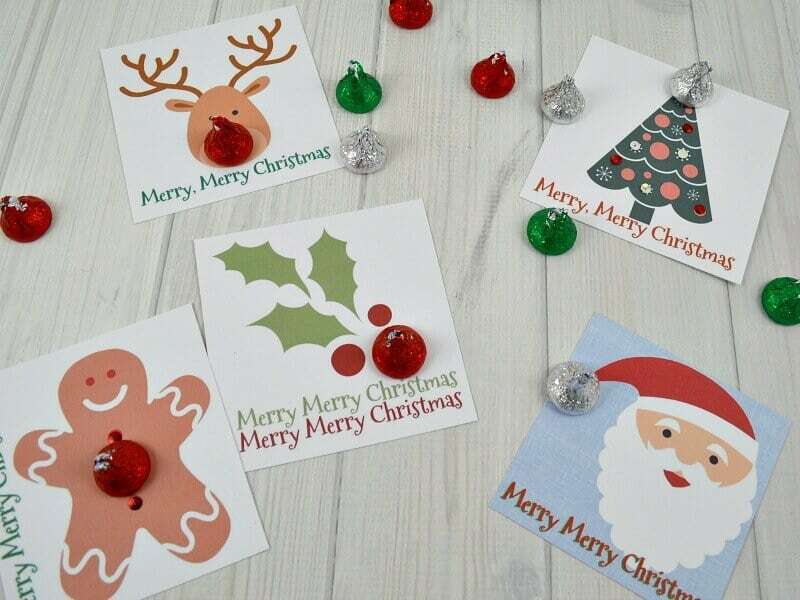 There are many different ways you can use these free Christmas printables. Use glue dots and adhere candy to the cards. 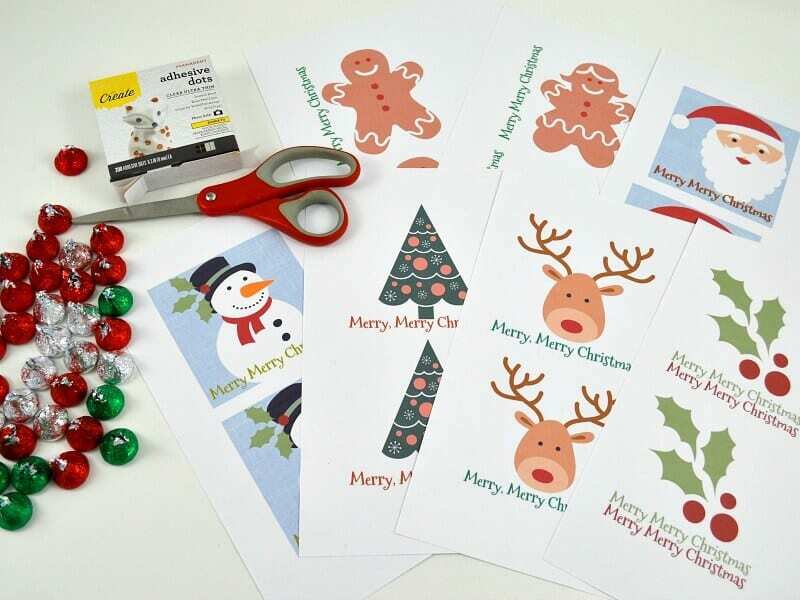 You can choose a variety of holiday-colored candies to embellish these Christmas printables. Use a glue pen to adhere sequins, beads and glitter to embellish the printables. Your creativity can be put to use to decorate the cards as you’d like. 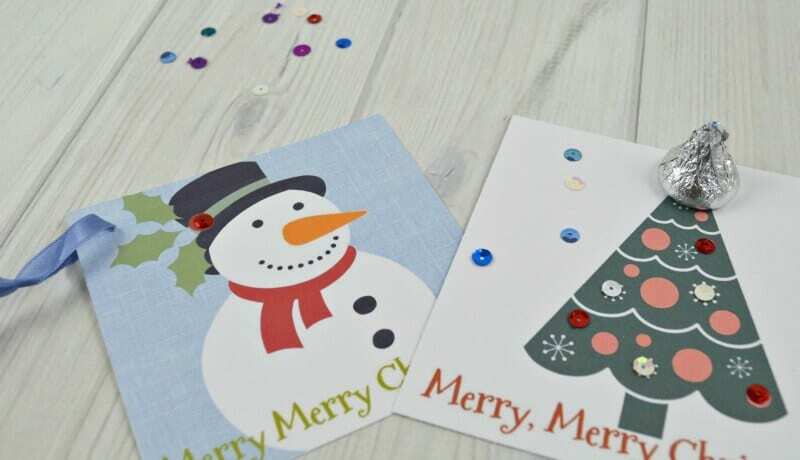 Punch a hole, add a ribbon and use these Christmas printables as gift tags. 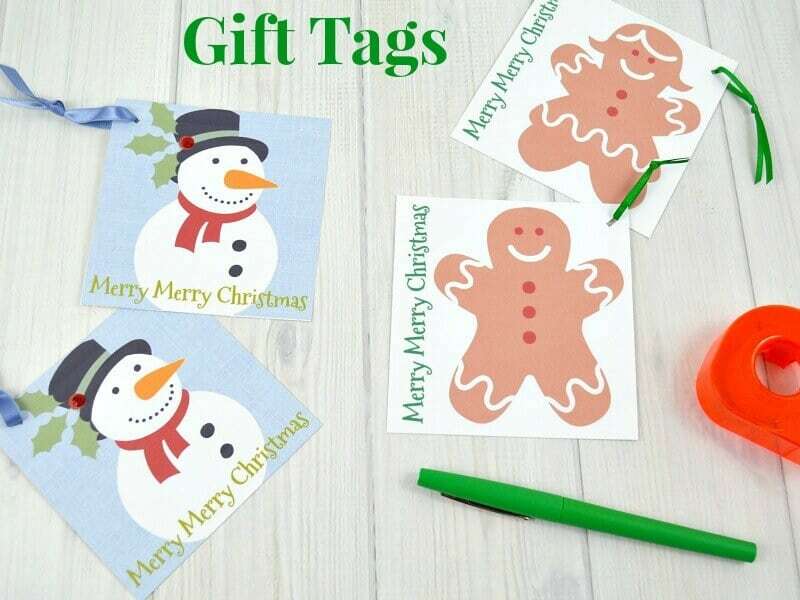 You can use them simply as they are printed or you can choose to embellish the gift tags. 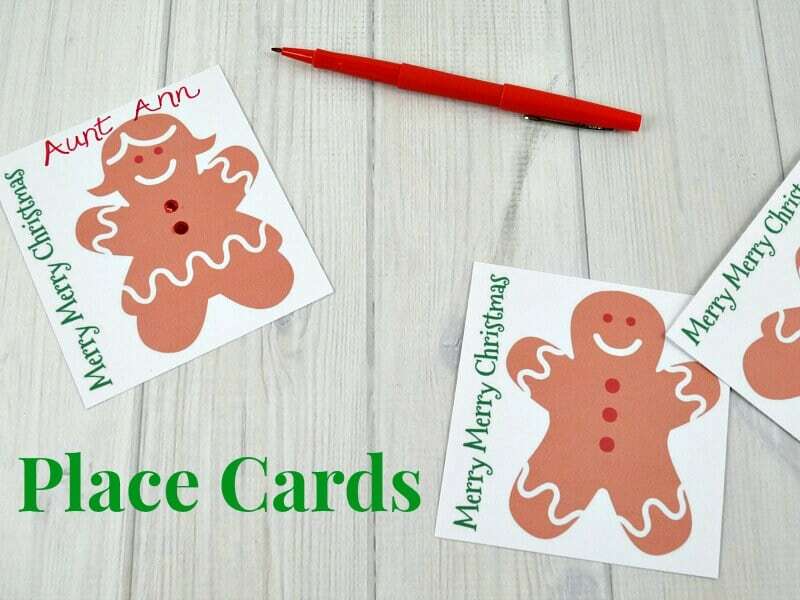 Add names to the Christmas printables to create place cards for your holiday table. You can choose to embellish the place cards or use them just as they are printed. Add candy to embellish these cards and then give them as party favors or stocking stuffers. They would also be a fun Advent Calendar gift. 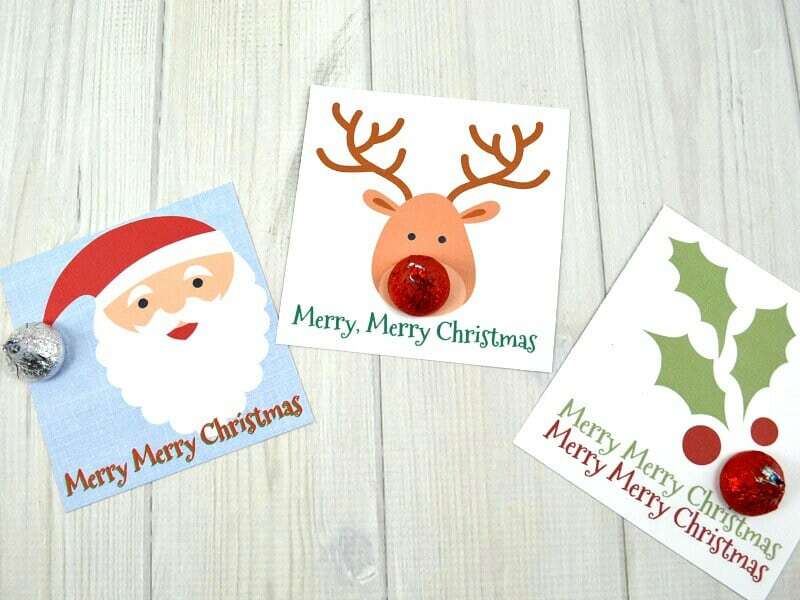 You can get the entire set of all seven Christmas printables, including the two free Christmas printables, for just $.49 and print as many copies as you’d like again and again. 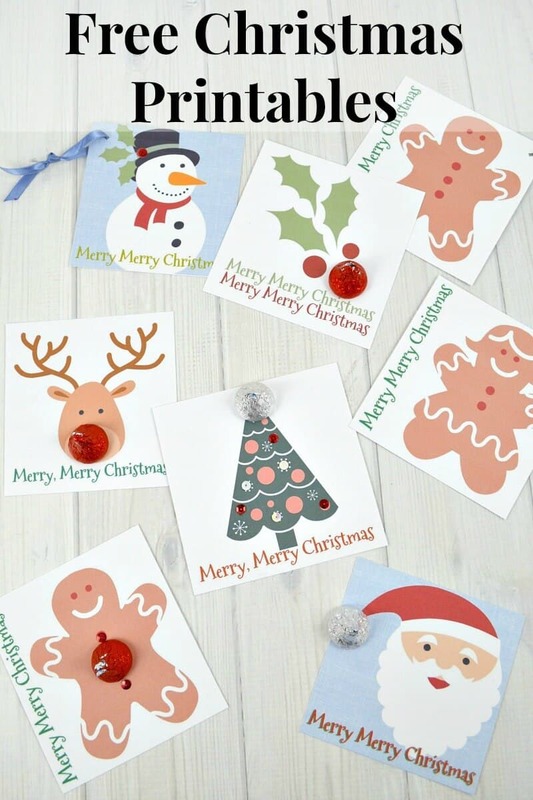 How about a fun crafting time this weekend using these Christmas printables? Sounds like a great new holiday tradition. 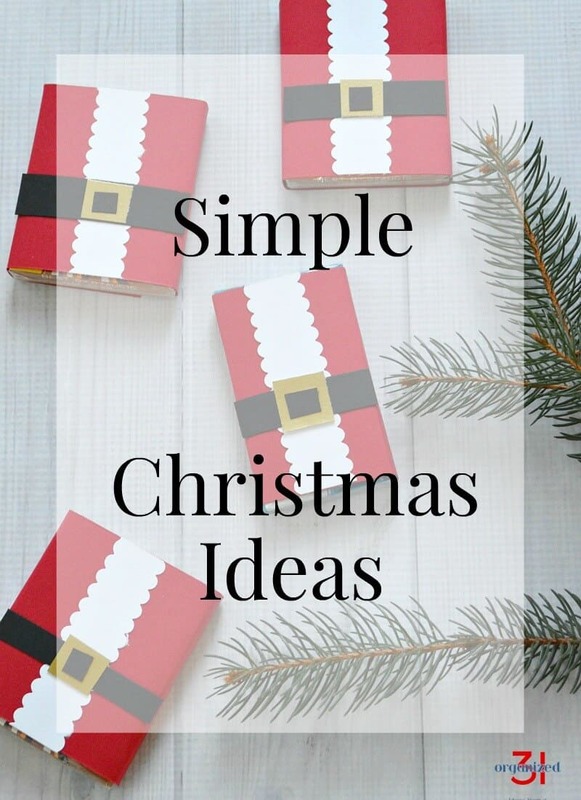 Find more simple Christmas ideas for all areas of your Christmas; planning, preparing, crafting, decorating, gift wrapping and recipes.